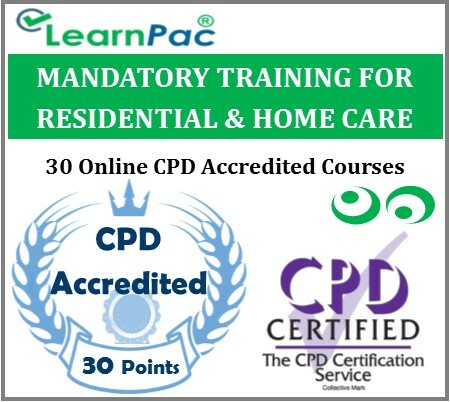 Welcome to LearnPac Systems’ online CSTF aligned online mandatory training for residential and nursing home care staff. This mandatory training for nurses and residential home care staff e-learning course was developed to meet the required learning outcomes in line with the current Care Quality Commission (CQC) recommendations for health care and social care providers, and the Skills for Health learning outcomes. How am I assessed and certified for this mandatory training online course? At the end of this mandatory e-learning course, learners will be required to complete an online assessment. On successful completion of the knowledge test (80% pass mark), learners will be able to download a FREE CPD certificate that is valid for one year. What are the aims of this mandatory training for residential and nursing home care staff e learning courses? *This introductory CSTF candidate mandatory training for residential and nursing home care staff course provides adequate e-learning materials as recommended by UK regulators. What are the objectives of this mandatory training for care staff online course? What is covered in this CSTF mandatory training for residential & nursing home care staff online course? These CQC compliant mandatory training courses are also relevant for health and social care support workers, including those who work for nursing care homes, residential care homes and charities. Access to desktop, laptop, tablet or smartphone device. 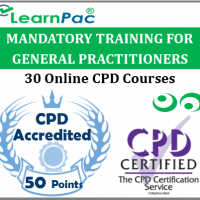 LearnPac’s online courses range from introductory modules at Level 1 to advanced and expert modules up to Level 6. Why choose LearnPac Systems’ mandatory training for residential and nursing home care staff CSTF e-learning courses?